Victoria is a clean and modern creative portfolio that is perfect to promote your work in a very professional and pleasant way. Victoria is made of HTML5 and CSS3. It is fully responsive; it looks stunning on all types of screens and devices (desktop, notebook, tablet and mobile). Victoria comes in three variations: Image Background, Video Background and Content Slider. 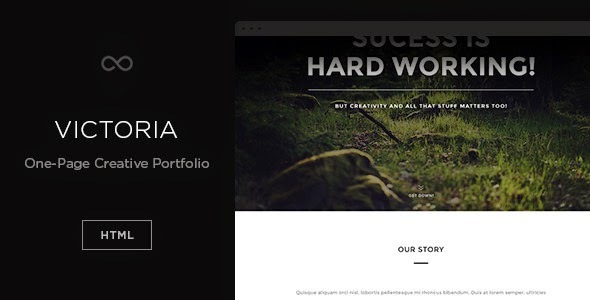 Item Reviewed: Victoria - Creative One Page Portfolio Template 9 out of 10 based on 10 ratings. 9 user reviews.